Being a makeup junkie, a good base and a good makeup remover are two things I cant do without. I dont move around with blue and green eyeshadows but I do follow a basic makeup routine on a daily basis and that is why I keep trying out new products. So here are my latest discoveries that have proven their worth to say the least. All I can say is...Great products. Great packaging. Great prices. KAYA CC CREAM: BB creams aka beauty balm or blemish balm is known to single-handedly do the job of five or six other products: moisturizer, primer, sunscreen, skin treatment, concealer and foundation. I started using BB cream because I wanted to cut short my beauty regimen. And then came in CC creams and I realized they are so good for advanced, easier-to-blend coverage for my uneven skin tone. I tried a couple of CC creams but my latest discovery, the Kaya CC cream aka Kaya Cover Correct has been just fabulous and worth the wait. Why I love it: Not only does it provide moisturization to my face, but its SPF 25 gives me good protection from the sun too. The great thing is that it provides enough coverage to double up as both foundation and primer without feeling like one. No patches or cakiness. But the best part about this cream is how it works to reduce redness and sallowness of my skin. It's definitely a perfect complexion perfecting cream. The product is available in a single shade and is perfect for all skin types; saved me the effort of going through numerous shades to pick one. Pump dispenser keeps it easy and clean. Price: Priced at Rs.990/- for a 30 ml, this special formula researched and developed by dermatologists is a must busy esp. for this party season. KAYA MAKEUP REMOVER: I wear makeup very often. At least the basics, if not much. And then there are times when I have to wear heavy makeup. So makeup remover has been an essential part of my cleansing routine. While choosing a makeup remover I look for three things: that its not harsh on the skin, works without scrubbing hard and does not have a strong fragrance (I hate beauty products with a strong scent). 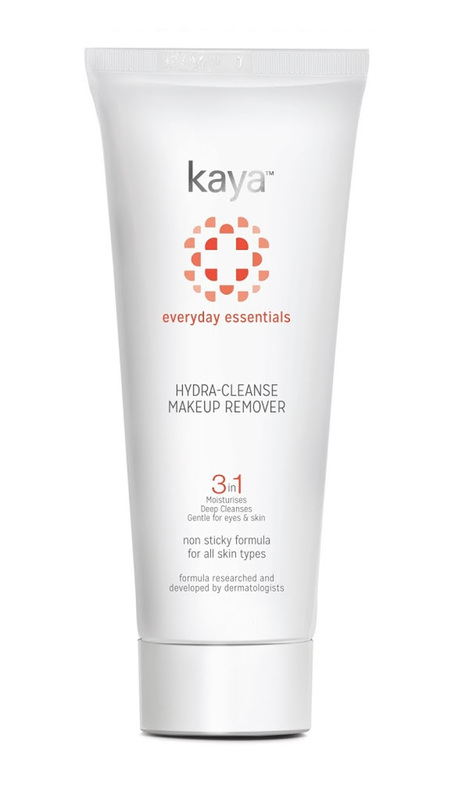 And I found all these three qualities and much more in Kaya hydra-cleanse Cream Makeup Remover. Why I love it: It removes all of my makeup and does not leave my skin feeling dry or irritated. Very gentle on eyes and skin and works really well in removing waterproof mascara, waterproof eyeliner, concealer, foundation, primer, you name it... with great ease and absoloutely no irritation at all. It leaves my skin feeling moisturized, not filmy, tight or dry. This cream remover is so gentle, its never given me any trouble and it takes off every last fleck of my makeup. Comes packaged in a white tube. Price: Available for a mere Rs 290/- for a 100 ml tube, its a great purchase. So dont forget to leave for Christmas or New Year parties without these two products. They make for best beauty starters and desserts.